Do you struggle with buying a Father’s Day present and end up getting a bottle of his favourite tipple? 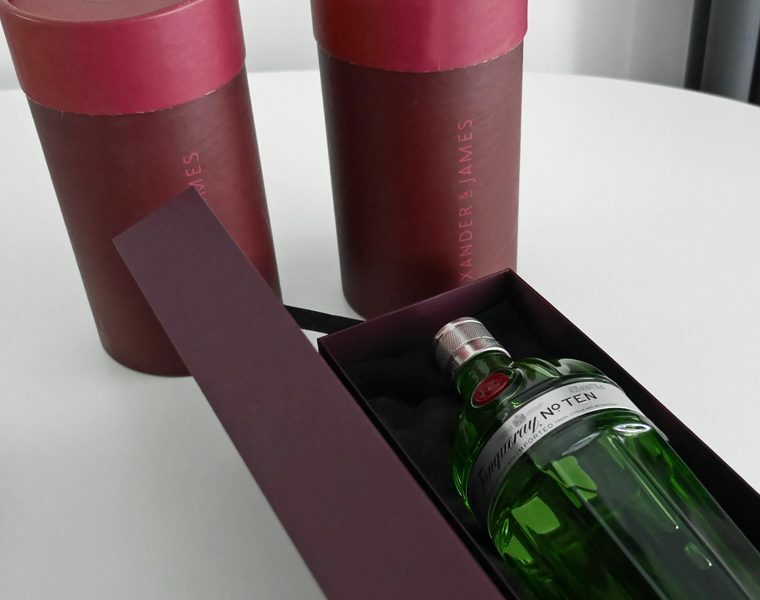 Whether your dad is a whisky fan or prefers the perfect gin & tonic Alexander & James have a wonderful collection of gift sets based on premium drinks brands. So, for example, you can choose from Talisker Whisky, Ketel and Ciroc Vodka and Tanqueray Gin, for example, each with complementing glasses or cocktail equipment. It makes something quite simple that you know will work into a special gift which will delight your Dad. And, there’s a Father’s Day special of personalised engraving on some of the bottles right now. I was sent the Alexander & James Tanqueray No. 10 gift set, which includes two special gin coupes and a litre bottle of gin. Everything arrived beautifully packaged so that it can be gifted easily. And, the glasses are the perfect way to serve a Gin & Tonic. Tanqueray is one of my favourite gins. 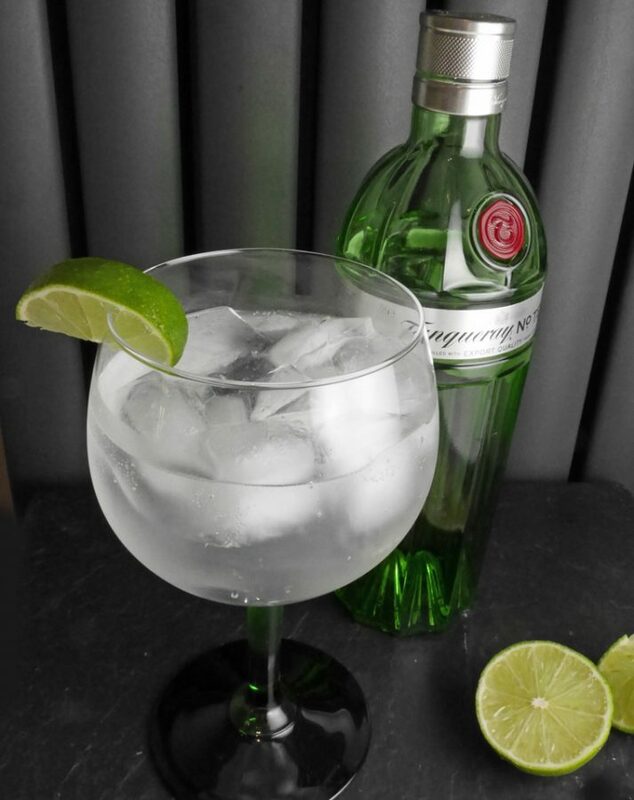 Each brand of gin has its own distinct botanicals – The original Tanqueray gin was launched in 1830; its key botanicals are juniper, coriander, angelica root and liquorice. In fact, the four times distilled Tanqueray No. 10 is the perfect gin to make a martini – so that is next on my list to try. For now, I’m keeping things simple, especially since I have two beautiful green stemmed coupe glasses which came as part of the Alexander & James gift set. The perfect citrus for Tanqueray, apparently, is lime. 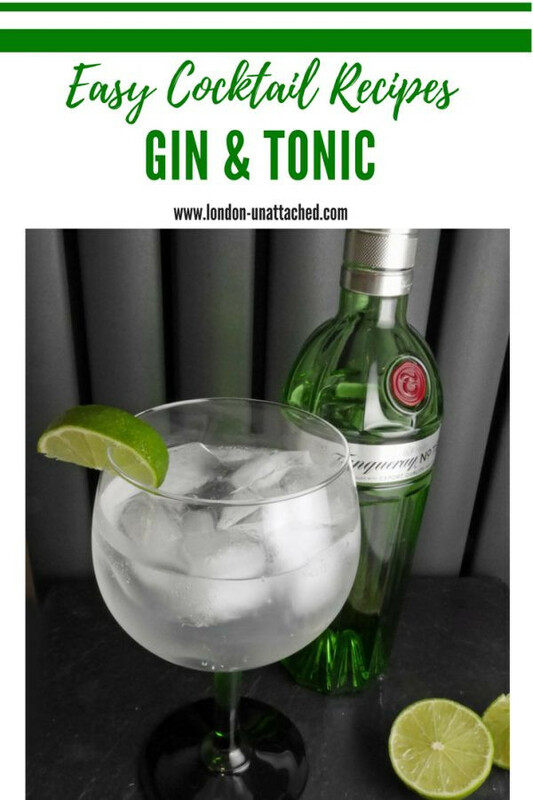 Apart from picking the right garnish to enhance your gin and tonic, there are a few other tips that will help make a great Gin & Tonic. Obviously, your base Gin should be high quality. A premium tonic will help ensure the perfect drink. 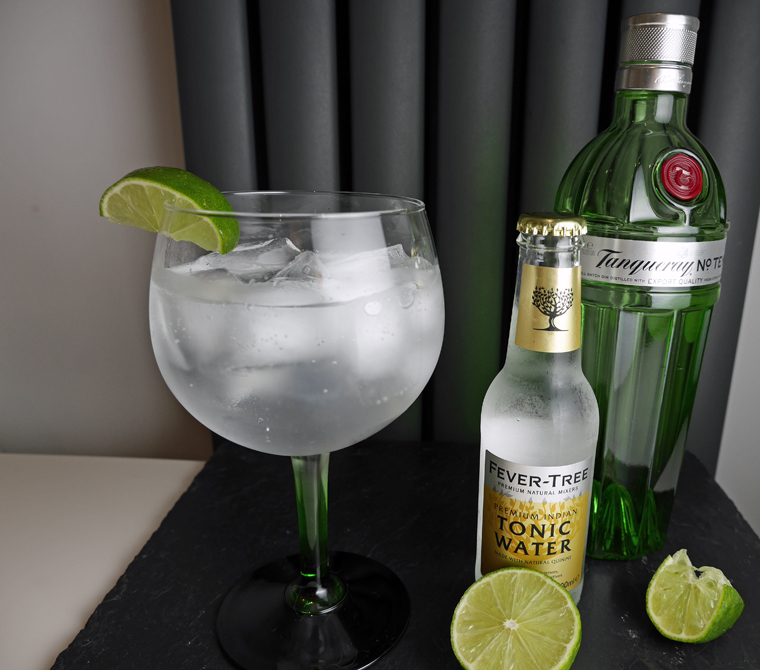 I like fever-tree with Tanqueray, with the old favourite of Schweppes a close second. I much prefer the fever-tree naturally light tonic if I’m trying to keep the calories down, though. The amount of ice you use is entirely personal taste. My preference is for a lot of ice, I tend to fill the glass with ice. But, I have friends who insist that one or two lumps are plenty. Now, if you prefer a different Gin, you may want to experiment with the garnish. Lime is perfect with traditional gins like Tanqueray, but the idea of the garnish is to bring out the botanicals. And of course, some of that is down to personal taste. You can add strawberries, blueberries or blackberries, herbs like Rosemary and other citrus fruit. Best of all, you get to drink your experiment! This has to be my favourite gin – here in Edinburgh, they serve Tanqueray No Ten with pink grapefruit – try it. It is the best! I love gin. I find it’s a great substitute for vodka in many overly sweet cocktails that benefit from the gin’s herbal taste profile. Thanks for a great recipe! Well done! I love Tanqueray 10! Great in a martini. I learned to like gin and tonic while living in London….there every one uses lemons.